With the deadline for compliance with the EU e-Privacy Directive just two days away, we’ve rounded up some of the key stats in an infographic. This embeddable infographic looks at marketers’ and consumers’ views of the EU cookie law, and our five-step plan for compliance. This is a topic we’ve covered in detail, so I’ve also rounded up some of our recent articles and other resources on the EU cookie law. (Just to clarify, only the 69% of respondents that knew what a cookie was were asked if they regularly manage cookies using browser settings. You can download the full survey for more details). Interviews and expert opinion on the e-Privacy Directive, some in favour, some very much opposed to the law. 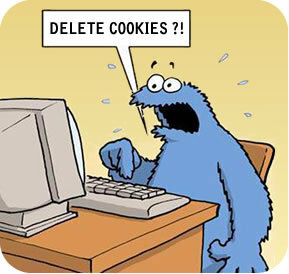 Is it possible to comply with the cookie law without harming your business? How will the EU cookie law affect mobile marketing? 89% of UK consumers think the EU cookie law is a positive step, but is it? We interviewed the ICO to allow them to explain their approach to enforcement of the directive. Some examples of sites which have set their consent methods loose. Around one in ten of these consumers were also happy to use their tablet for ‘big ticket’ purchases and over 20% of tablet users claim to shop less in bricks and mortar stores since purchasing their device. ‘The Role of Tablets in the Consumer Sales Journey’ report also shows that tablets are no longer niche – 3.9m people in the UK own one, equating to around 13% of households. On Tuesday night, the sixth annual Performance Marketing Awards was held in London, attended by more than 800 people and judged by Econsultancy Research Director Linus Gregoriadis, among others. The event was previously known as the a4u Awards, but the name was changed to broaden the remit of the awards, allowing entrants from the various sub-channels of performance marketing, including social, mobile, email, search and display, not just just the affiliate sector. Mobile commerce is set to revolutionise the way that consumers engage with brands, but marketers don’t seem to be putting it to good use yet. 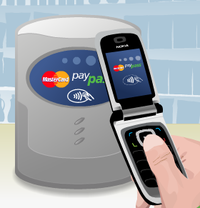 According to KPMG, mobile payments are set to reach £591bn by 2015 while Gartner predicts that 190m people will use their mobile to make payments in the next 24 months. The potential for marketers is obvious, however in order to take advantage of this growing market they must first understand the full scope of what mobile payments entail.